You know when you think that something is going to be more work and harder than it actually is? That is my relationship with Ghee! I always thought it was harder than it is to make. Growing up, I knew however that I didn’t like the smell of the shop bought Ghee (yuck!). I remember shop bought ‘bulk’ Ghee only ever being used to light candles in the temple (known as diya). On the contrary the Ghee that was made at home tasted delicious especially when added to a bowl of hot rice and dhal. Ghee has been used in Indian cooking and for Ayuverdic medicine for centuries. Ghee is the Hindi word for ‘fat’. 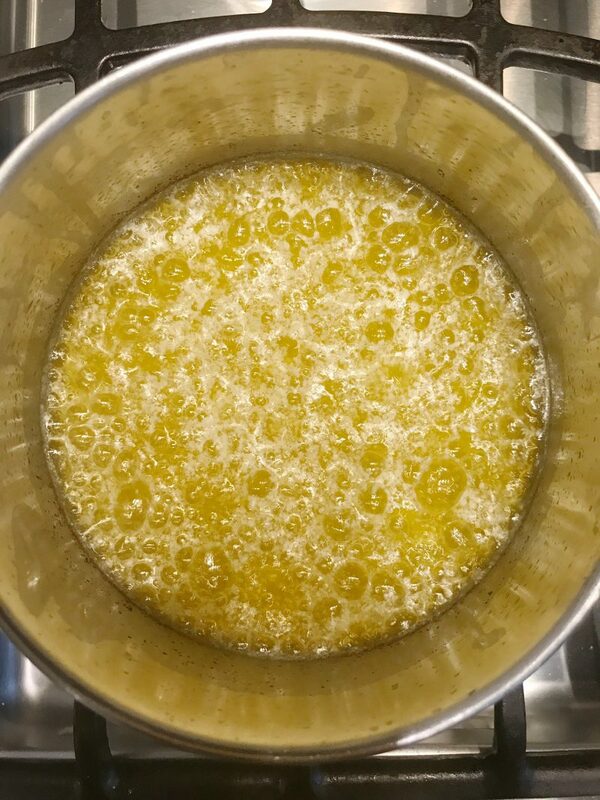 Ghee also known as clarified butter is traditionally made from buffalo or cows milk, the process of making ghee removes the water and milk fats from the butter, leaving a high-smoke point fat (meaning that it can be heated to a pretty high temperature before it starts to smoke). Plus, it’s nutritionally rich like coconut oil. 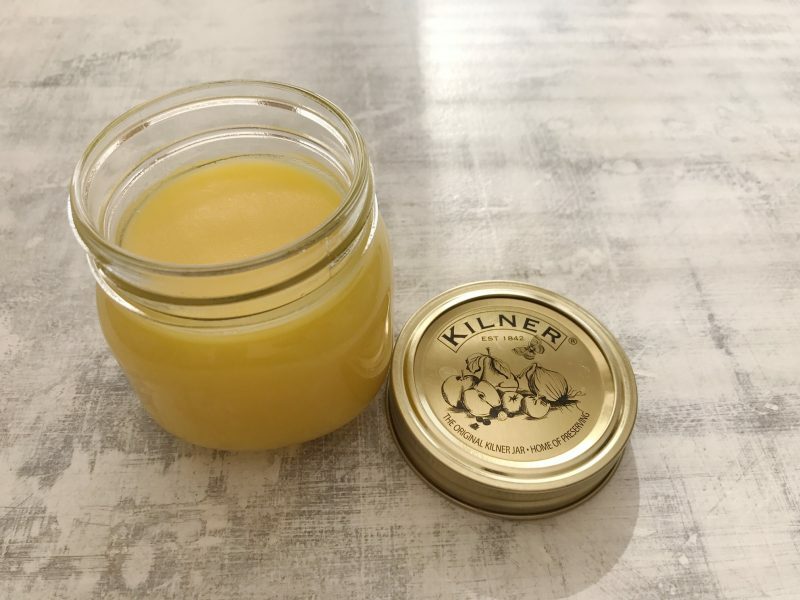 Ghee not only contains medium-chain fatty acids, which may be easier to digest and better for your heart compared to other saturated fatty acids, but also has a higher concentration of butyric acid than butter — a type of acid known for its positive effects on immune function and anti-inflammatory activity. 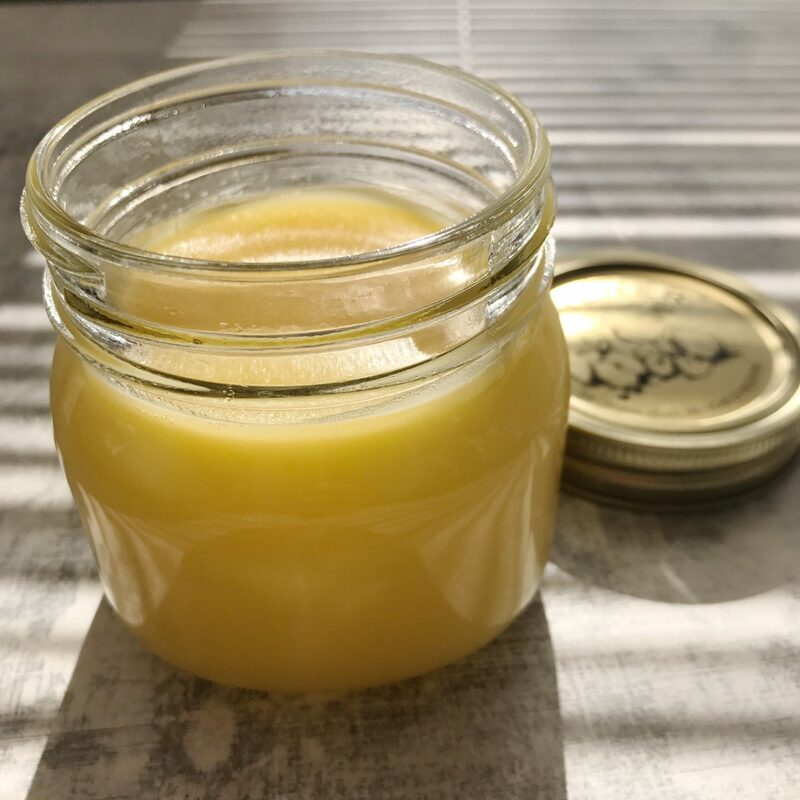 Ghee is increasing in popularity within the health food community, the reason being that it’s versatile, good for you (when eaten in moderation), and has its own unique, nutty flavour and aroma. You can keep ghee on your counter for weeks (and if you put it in the fridge , it will keep for months) and it will be fine. Just make sure it’s stored in an air-tight container to keep it free from moisture. 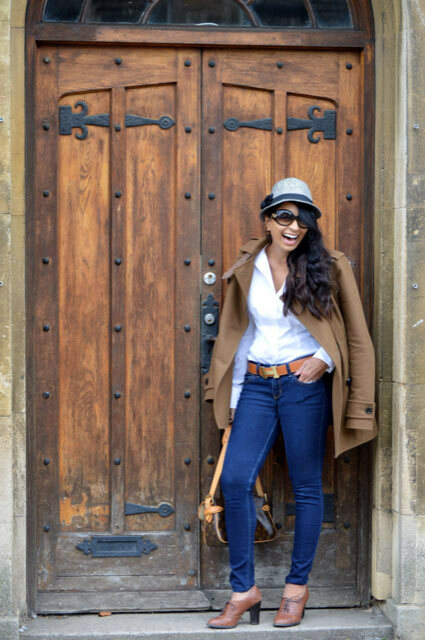 In cooler weather, it solidifies much like coconut oil. Ghee has a higher smoke point than other fats which means it is great to cook with. The reason ghee doesn’t burn as quickly as butter is down to the fact that the flammable milk solids have been removed. You can use ghee to toast spices rather than dry-roasting them or tempering them in oil. The Ghee will impart a deeper, richer taste, especially in authentic Indian cuisine. 1 x 250g block of unsalted butter. The ideal butter to use is a grass fed organic butter such as Kerrygold or Yeo Valley, the key is that it is unsalted. Either a fine mesh sieve or a square of cheesecloth for straining it at the end. In your saucepan, slowly melt the unsalted butter over low heat. Do not rush this step, let is just melt slowly. As the butter melts it will begin to bubble and may spatter a bit. Stir with a long handle spoon and keep simmering. Simmer your Butter on a low heat and you will start to see white foam appear. At this point you will notice a lot of white foam on the top of the butter. (you can skim off this white foam if you wish). You will also notice the milk proteins settling to the bottom of the pan (don’t over stir as you will start to mix this back into your clear liquid). You may continue to get a foam on the top don’t worry, just skim this off. 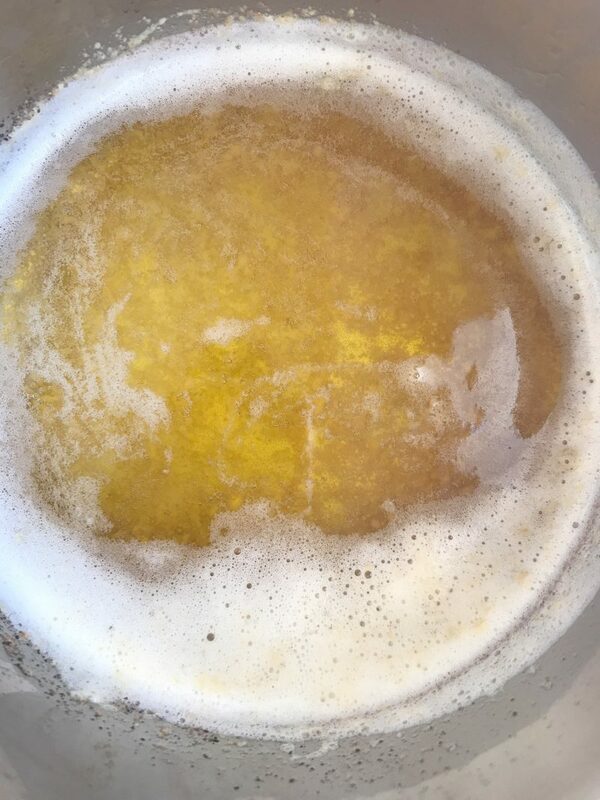 Beneath the white foam you will start to see clear liquid – this is ghee. Continue simmering and skimming until only clear, honey-colored liquid is left in the pan. 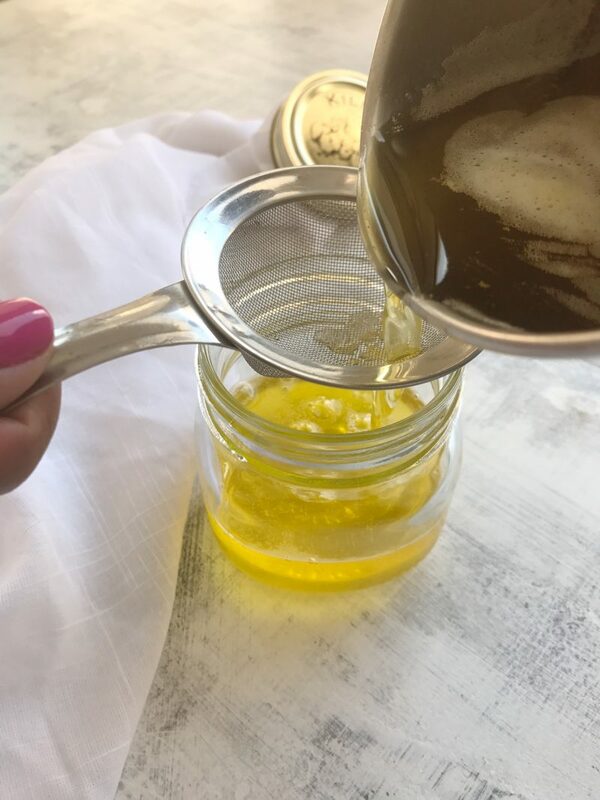 After it’s cooled a bit, strain the impurities and residue from the ghee by pouring it through the cheesecloth or fine mesh sieve as you pour it into a clean jar with a tight-fitting lid. 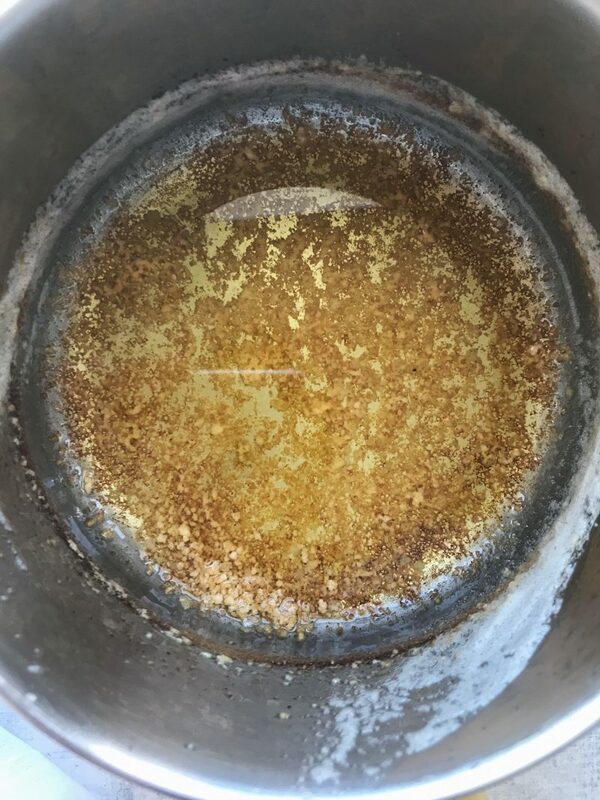 Ghee can quickly burn so keep your eye on the pot at all times. You are looking for a golden clear liquid sandwiched between the foam and the residue at the bottom of the pan. At this point your ghee is made. Remove from the heat and let your ghee cool down. 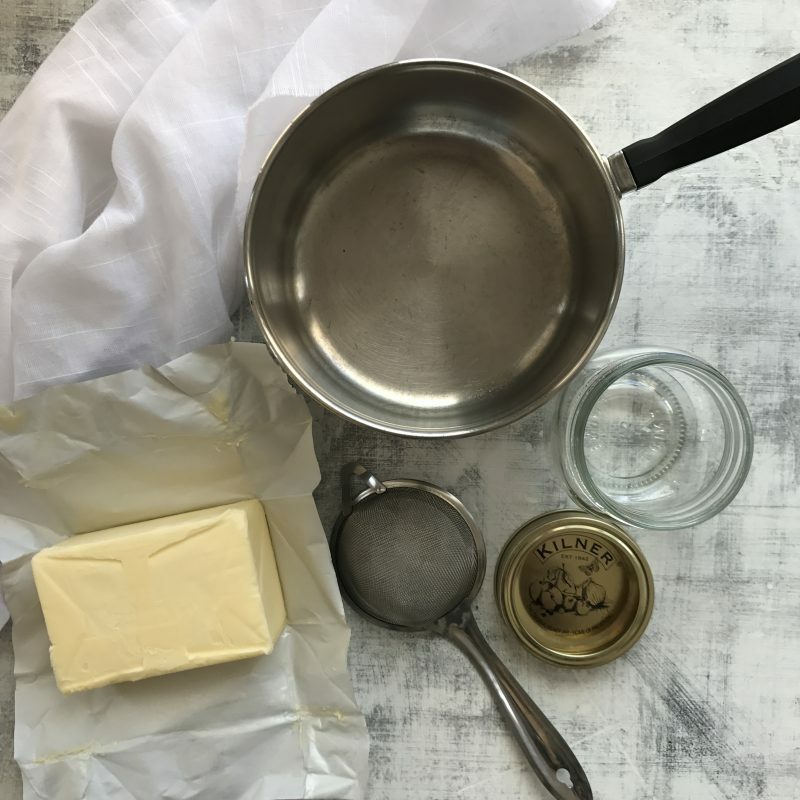 Then use a mesh strainer or cheesecloth (or nut milk bag) and slowely pour the butter into your glass airtight jar. 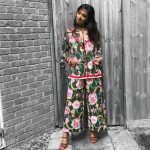 Enjoy making ghee and let me know how you get on if you decide to give it a go. 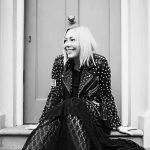 Previous Post What is confidence?